OpenStack | The IT Melting Pot! This is a good post by Dwayne Lessner around how perfect match OpenStack and Nutanix is (not just OpenStack of course, Nutanix rocks with VMware and Microsoft as well)! Single Scalable Fabric – NDFS provides a single fabric for data storage that integrates seamlessly with OpenStack services. NDFS-based storage is easy to provision, manage, and operate at scale. 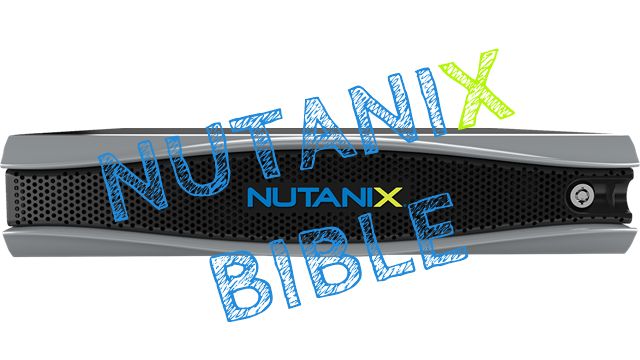 Hypervisor Agnostic – Just like OpenStack, Nutanix NDFS was designed from the ground up to be hypervisor agnostic. Nutanix enables customers to choose between KVM, Hyper-V, and the VMware ESXi hypervisor for deployments of OpenStack. Enterprise Ready – Nutanix enables a full set of enterprise storage features including Elastic Deduplication, Compression, In-Memory and Flash-based Caching, VM-Data Locality, intelligent Information Lifecycle Management (ILM), Snapshots, Fast Clones, and Live Migration. Today, I’m excited to announce a new module from Puppet Labs for OpenStack Grizzly. I’ve been working on this module with the goal of demonstrating how to simplify OpenStack deployments by identifying their independent components and customizing them for your environment. The puppetlabs-grizzly module is a multi-node deployment of OpenStack built on the puppetlabs-openstack modules. There are two core differences in how it handles deploying OpenStack resources. First, it uses a “roles and profiles” model. Roles allow you to identify a node’s function, and profiles are the components that describe that role. For example, a typical controller node is composed of messaging, database and API profiles. Roles and profiles allow you to clearly define what a node does with a role, while being flexible enough to mix profiles to compose new roles. The second difference is that the module leverages Hiera, a database that allows you to store configuration settings in a hierarchy of text files. Hiera can use Facter facts about a given node to set values for module parameters, rather than storing those values in the module itself. If you have to change a network setting or password, Hiera allows you to change it in your Hiera text file hierarchy, rather than changing it in the module. Check out parts 1 and 2 of the demo, which walks you through how to deploy OpenStack with the puppetlabs-grizzly module.